Independent apartment in 18th floor. 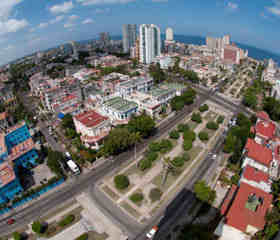 Spectacular view of all Havana 360 degrees and 2 elevators. 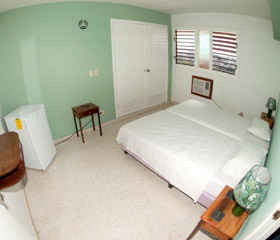 Two rooms and 5 beds. 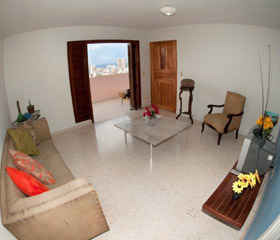 Livingroom and a big terrace. 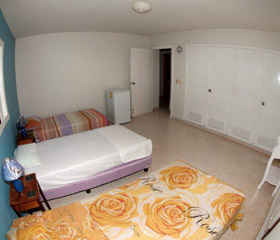 Air conditioners, refrigerators and closets in each room. 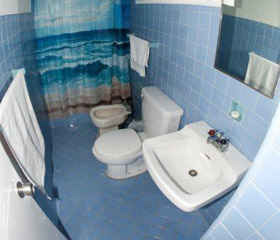 Bathroom with hot water. The building is in perfect conditions and has guard at the main door. 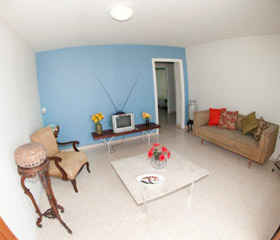 We speak English and we can pick up you at the Havana airport and we´ll take you last day. The apartment adress is G st. No. 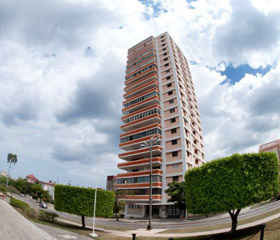 301 floor 18thon the corner13th street, Vedado is so near to the main places in Vedado, Havana. Is totally independent in horizontal property. 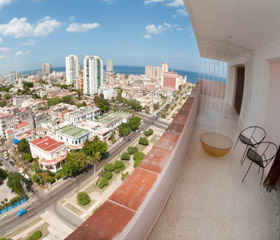 Nearby places: Presidente Hotel, Linea street, 23rd street, Havana University, Habana Libre hotel, Seawall (malecon) at the seashore in Vedado. Many wonderful restaurants, bars and night clubs around. Taxi lines and well conected.